Or at least that was my thought when I first began the process of world-building the crown jewel in Dragonus Galaxy. 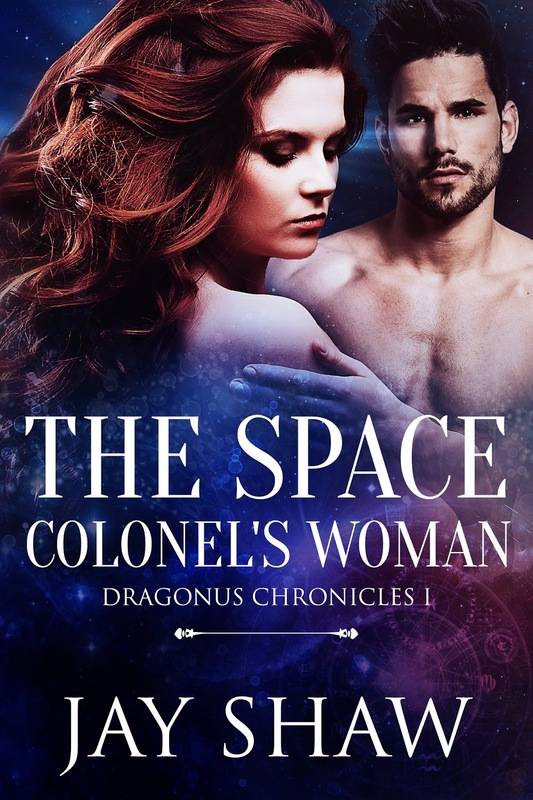 Hi everyone, I’m Jay Shaw – author of The Space Colonel’s Woman, book one in my sci-fi action/adventure romance series, Dragonus Chronicles. 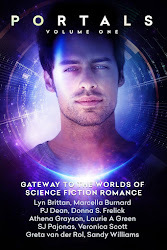 When we first meet Julia Swift, she lives and works on Earth, but dreams of space pilots and a world beyond her own. A world she believes only exists in the scriptwriter’s imagination of her favourite TV show, Phoenix Rising. But little does she know, Phoenix City sits atop sheer cliffs overlooking a fresh water ocean with the sun’s light reflecting rainbow shimmers off her awe-inspiring presence. Ancient ashwood forests, adorned in fuchsia canopies, flow behind her like a royal cloak, blanketing the foothills of a vast mountain range. Established forty-thousand Earth years ago by a now-extinct, advanced race known as Zydonians, Phoenix City is designed in the image of a tiara. Each building is crafted using the alien equivalents of glass, silver, porcelain, crystal, and marble, and descends in height around the circular layout until they meet at an enormous amphitheatre. The overall atmosphere of pristine opulence and welcoming warmth is maintained by the vaporization of all waste through solar energy, and the lack of fossil fuel emissions. Travel to any part of the city is achieved either by walking, using the advanced transport system colloquially known as a relocator, or flying one of the Zydonian Gliders. At Phoenix’s heart, surrounded by lush cultured gardens, water features, and white-marbled promenades, sits what the city’s residents call the Birdcage; a colossal architectural confection of crystal-glass wrought with alien silver. It’s here, in the resemblance of a Victorian glasshouse, that the mind-controlled spaceships reside. The Birdcage is where Julia gets her first glimpse of her new home. As her story unfolds in The Space Colonel’s Woman, and continues through The Hunted, Phoenix City becomes both anchor and haven for Julia and those she loves. A symbol of triumph over adversity, and proof that no matter what befalls you in a galaxy trying to destroy itself, home is always waiting at your back. 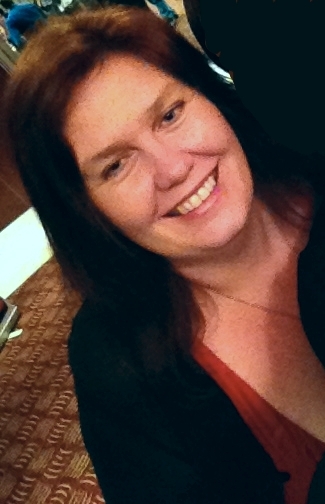 Jay Shaw is a New Zealand author, a mum of two teens, and a lover of books. She’s an incurable romantic who stays up early and sleeps in late, writes in bed, loves both action and romance movies, survives on a diet of M&Ms, bottled water, and steak with mushroom sauce. Jay has a preference for tall, dark-haired, military men in thigh holsters and combat boots, but isn’t opposed to the occasional shirtless cowboy in tight denim. Her favorite books to write are fantasy and sci-fi stories about characters who will ultimately find their one great love. A love all of time and space will lie down and be still for. Many years ago, I had the amazing opportunity to chat briefly with the late Majel Roddenberry. It was at a Star Trek convention in San Francisco. I confess, I’d never attended an event like this before, and when a friend told me she was going, I went along mostly out of curiosity. The take-away from that chat was something I’m sure she shared often throughout her career. She told me that her late husband Gene Roddenberry had one important rule for the aliens that appeared in Star Trek: No matter how strange and bizarre they were, they had to have human eyes. He felt that the viewer would be better able to relate to that character if they could connect through the eyes. We all know that old saying about the eyes being the windows to the soul. In a sense, I believe this was what Roddenberry was demonstrating. As a writer, I don’t have the luxury of using a visual medium to enable a reader to connect to an alien character. An author has to use other methods to “Humanize” a character. I don’t mean an alien has to be or seem human. Rather, they must have elements that make them real, so the reader can relate to them, regardless if they are a hero, an antagonist or a supporting character. Do you remember that old song “Russians” by Sting? It was released in 1985, and political commentary aside, there was a line that cut through the hostility of the era and forced us to recognize and understand that the Russians were human. In writing science fiction settings, I’ve created quite a few non-human characters. In the “Uncommon” series, our heroes grapple with several various alien species, most significantly, the Landaun. When I initially created the Landaun, I simply envisioned them as big, cruel, vicious warriors. They invaded the home planet of our heroes, and literally obliterated it. They were no more than a tool to push the plot along. As the series developed, I realized that as a species, they had to have a reason for doing what they did. Behind the brutality, there had to be culture, ethics and a species-wide paradigm, regardless of how horrible they are on the surface. And those reasons had to be something we can relate to. Ultimately, the Landaun are a tragic host of people, they are facing extinction, and they know it. Their “take all” perspective no longer works and they are shut out of larger alliances and coalitions. Their planet is dying; their internal honor system is resulting in the elimination of entire family lines. If the parent is dishonored, their children die. Thus, the Landaun must not lose. Ever. I don’t think I made them sympathetic in the books, but I hope there was a thread of something we recognize and relate to. Perhaps in future books members of that species will show up and I can develop the Landaun a with more care and individual detail. Theirs is a doomed culture, in time, their entire system will collapse. At the end of “When I Fall,” one of their leaders is captured, stands trial and is imprisoned, knowing that all of his family…parents, siblings, spouse and children will commit suicide because of his shame. When I wrote that, the horror of that character’s fate struck me hard. We have many tools as writers, and as speculative fiction writers, we have unlimited worlds to explore. But to effectively reach out to the reader, our characters have to be relatable, whether they are strange creatures with tentacles or villainous fae. If you’re writing a character who seems difficult to relate to, look for that chink in their armor, their Achilles Heel. Discover what makes them laugh and cry. What do they like to eat, what games do they play? What they care about more than life. After all, even Grendel had a mother who loved him more than life. Belinda McBride is an award winning author of romantic speculative fiction. 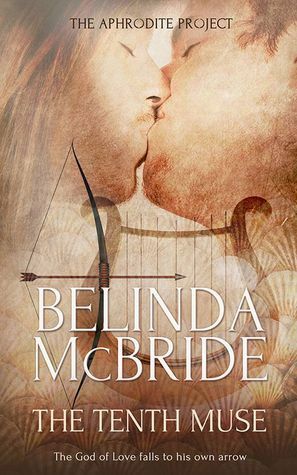 Her newest release is The Tenth Muse, in which Eros, the God of Love falls hard for Rees, a young human scholar. Arden, undercover for The Wardens of the Realm who protect 1898 steampunk England, has the status, wealth, and independence of a countess - and can see the final moments of a murder victim’s life. Her husband Lucas vanishes until she spots him one night. The Company wiped his memory, sent him to kill her, but he cannot. Yet if he does not, someone will — and kill him. This book has steampunk cybernetics and lots of cool inventions mixed in with its romance. 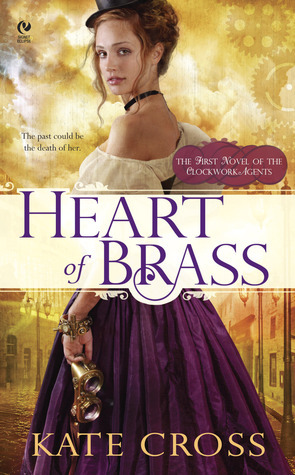 If you're a fan of historical romance, this follows lots of the tropes and the hearfelt moments are lush and vivid. I love Arden's ongoing struggle with her grief and anger and how she deals with it and goes through it with her husband. People in service to their country or a greater good can neglect their personal relationships, and even if they don't, the idea of something more important than a family can be tough to come to grips with. Check out ancient names—Greek, Roman, Latin—and twist it a bit. Adria, a Latin name, could be twisted to Adrix, Advia, Adraian, etc. Alternatively, if you have a specific aspect of your character in mind, look up those aspects and use names from ancient languages connected to them. (Example: Your character is connected to wind—use the name Aella or “whirlwind” from the Greek myths. You could also go to your local cemetery for inspiration! It may feel a little weird, but there are already some beautiful names out there. Why not take advantage of that? Writing down the ones you like is a good way to build a list. Speaking of lists, compile the names you like, including ones you’ve seen in books, come across in your research, and come up with yourself. Having a list of names in an organized, easily accessed location—in a journal, on your phone, on a Word doc—makes it easy to mix and match them until you find the perfect name for your character. Lastly, this is science fiction—don’t be afraid to add some flair to your character names. Add that extra v or x, put double vowels, have a super complex name then shorten it to a nickname. Granted you can do this with fantasy, too, but in science fiction we have the opportunity to create names that are out of this world (pun intended)! Bonus Tip: Don’t be afraid to change your character’s name. If you don’t like how it sounds anymore, feel free to tweak it a little or change it completely. Above all else you have to like your character names. You’ll be spending a lot of time with these folks after all. So while it can be daunting, it’s also fun to pick out names. You’re going to go on an adventure with these characters. Give them names to be proud of! And remember, getting to know your character name is one step closer to getting to know your character as a whole. Happy writing! Kellie Doherty has a masters in Book Publishing from Portland State University and a bachelors in English Literature from the University of Alaska Anchorage. 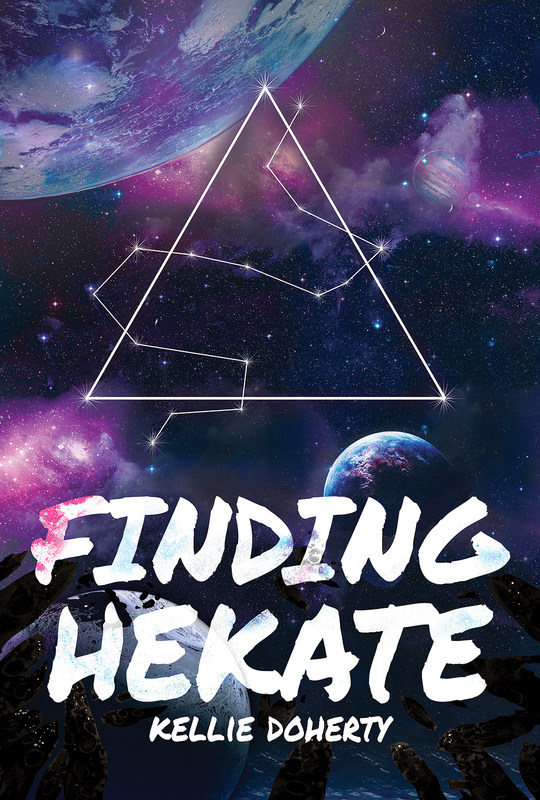 Her first book Finding Hekate was published by Desert Palm Press in April 2016. She's currently in the editing phase of the sequel, Losing Hold, and writing the first book of a new fantasy series. Her work has also been featured in Flight (Mischief Corner Books, 2016), 49 Writers Alaska Shorts, Pathos Literary Magazine, F Magazine, and Alaska Women Speak. You can find out more at www.kelliedoherty.com. All spent out for Christmas but need to stock up your ereader? 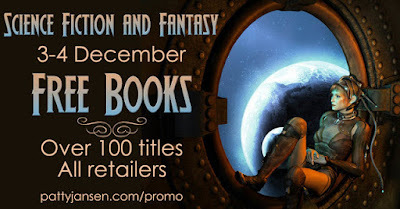 The Science Fiction and Fantasy Free Books event has over 100 free books, including box sets and anthologies, available at multiple digital retailers. That should set you up for the holidays. :) Click HERE and pick the retailer of your choice.